These past couple of weeks have flown by. One minute, I’m on the phone, scheduling a pre-op appointment, and the next, it seems that I’m sitting there in the office, waiting to see the surgeon. 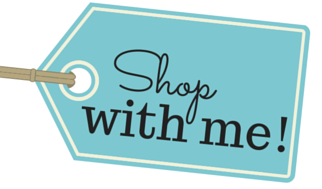 The beginning of a new year of homeschooling, consignment sale prep, getting to teach a Trim Healthy Mama class, and trying to get meals and such done in advance made the time fly. I’m going to be very honest: I was nervous. 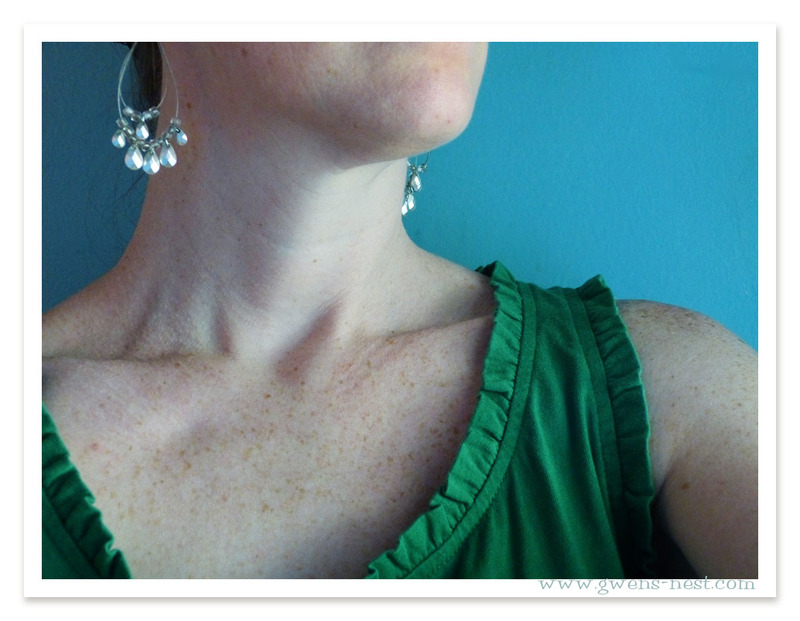 The thought of neck surgery…of someone cutting into my neck, it just freaks me out. A lot. Early on, when researching parathyroid disease on www.parathyroid.com, I decided that if I was to ever have surgery, that the TOP priority for me was to use a surgeon that was very, very skilled and experienced with parathyroid removal. I’m especially reminded of the importance of having a good surgeon when reading an e-mail sent in by a reader, recalling her surgeries for parathyroid disease. Her first surgeon removed two healthy glands, and left the one that was diseased. She had to have a second surgery, and is now on medication for life to help regulate her calcium. If you still need convincing, Google images of ‘parathyroid surgery’ and check out the Frankenstein inspired stitch jobs out there. And then head over to Dr. Parihk’s surgery center, or to the Disney World vacation destination of Parathyroid surgery: Dr. Norman’s Parathyroid surgery center down in Florida. 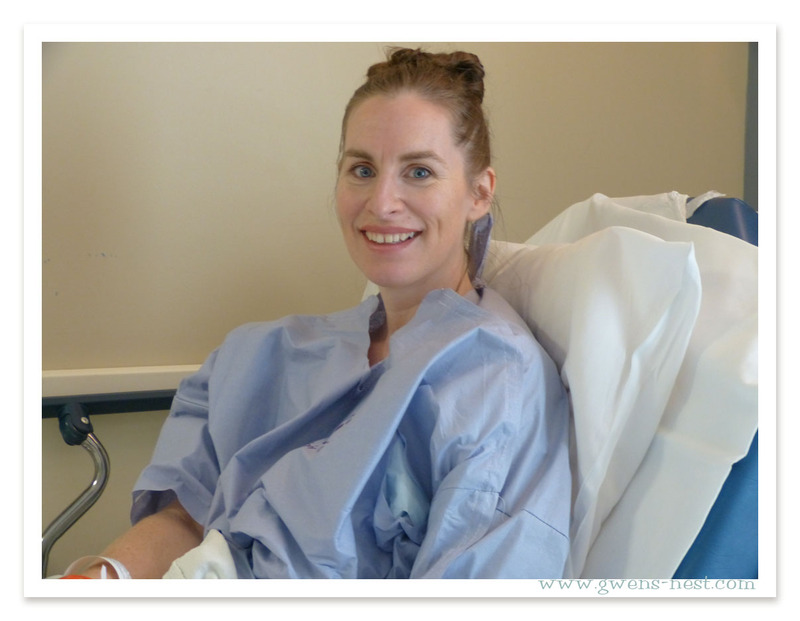 The day prior to surgery was a whirlwind of activity for this Mama: finish up pre-registration with the hospital, go over instructions with nurse Barbara, watch a Mommy Makeover tutorial (priorities, ladies! 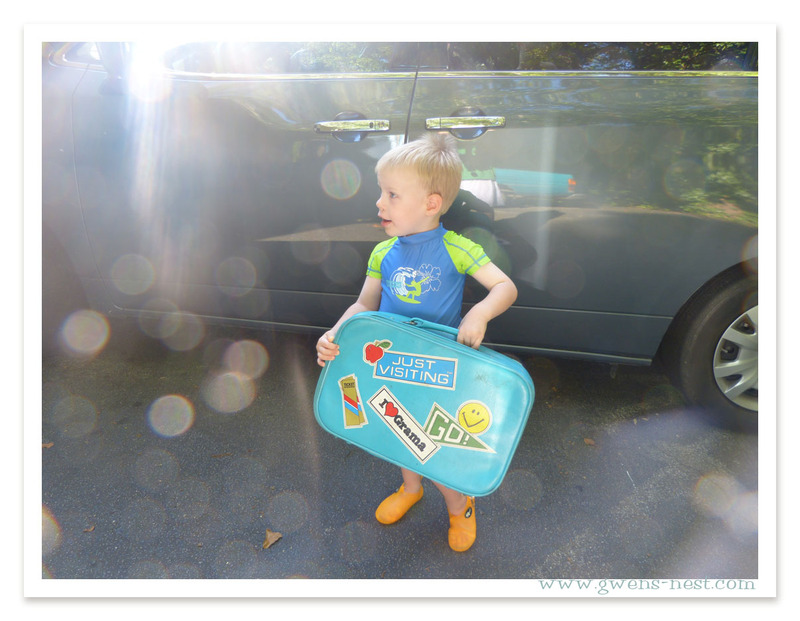 ), pick up prescriptions–and a new color of blush, do school, finish up laundry, pack bags…and a blissful 2 hour break in which we went to the pool with friends. I also took a minute to snap this photo of my pre-fileted neck. For posterity. I grabbed a Monet waterlilies neck scarf to cover the wound post-op, because I didn’t want to scare the kids right off the bat when picking them up. At the hospital, I was given a paper gown that was a marvel of engineering…it had a build in heating and cooling system. For real. And a hideously ugly pair of yellow skid socks. So much for my fashionable start to the day. One of my big concerns with the surgery (besides the whole ‘slicing into the neck part) was the anesthesia. I’ve had 2 prior surgeries, and it’s taken me hours and hours to get over the anesthesia. I basically sleep for the rest of the day and night. After recently being diagnosed with an MTHFR genetic mutation, that could explain why…my body has a harder time clearing things out. In preparation for this, I had been taking milk thistle extract to enhance liver function, as well as special B vitamins to really support me through this. I shared my concerns with the anesthesiologist, Dr. Paul. He had never heard of MTHFR, but told me that he’d titer the dose or some such…he would keep my issues in mind and not drug me out of my head for the rest of the day. I appreciate. Repeating: PLEASE go to a highly experienced surgeon if you need to have this done! Dr. Paul…you did an AMAZING job on my anesthesia! I was fully awake, and not the least bit foggy or drowsy. I HUGELY appreciate you! An hour later, after converting yet another nurse to THM, I was back in my cute duds. My man took a snapshot for my Mama, whose mind was fully put at ease by the fact that I *was* indeed wearing makeup. Thank you www.maskcara.com! Clearly, time well spent. I snapped this photo of my wound as we were heading out to lunch. My throat hurt from the intubation tube, and french onion soup sounded great. If you really want to see the real deal, then click the photo, and it will open…hit your back button to come back here. Warning: there is NO bandaging: only a weird rubbery purple glue that holds the skin together. Click the photo is you want to see the real deal. My discharge nurse was very impressed with the wound care. She said her neck surgery years ago left her looking like she had a second pair of lips on her neck. But today, you can’t even tell she has a scar. This leaves me very hopeful that I’ll also heal up nicely! The weird pale splotches around the incision are from the skin numbing stuff they injected apparently, and that totally wore away by this morning. At which time, I missed it terribly. I woke up feeling rather beat up today…I don’t really want to know what happened in those 13 minutes, but I can tell you I’m sore and my incision stung a bit this morning. And my voice is very hoarse from the anesthesia breathing tube. But I’ll heal up. I’m being a good, good girl, and taking my calcium supplements and putting wound salve around the glue that holds the incision closed. I’m taking it easy, and my family and church are taking good care of me. A follow up look at my new year & recovery. SO happy for you! You have come to my mind often. Thanks for all you do for us THMers! I’m so very thankful for this *great* report. God surely answers prayers. You are amazing! Love the outfit! (And super happy about the outcome of the surgery!) Can’t wait to see where your journey takes you from here. Wonderful report and I agree with Pearl, you looked darling in that gown shot!! Gwen, so glad your surgery went well. I am thankful that you live in a country where you have so many medical options. God bless your recovery. So glad it went safely and you are healing so well! And impressed you got to go home the same day! I guess thyroid is a bit different…I had mine (plus a couple of parathyroids) out a couple of years ago and it was a much different process. Praying all will continue to go well for you! So glad to hear it all went so well & easily for you! WISH I had something like the blue goo they used on your incision when they went into my neck TWICE within 6 months to remove & fuse 3 cervical discs! 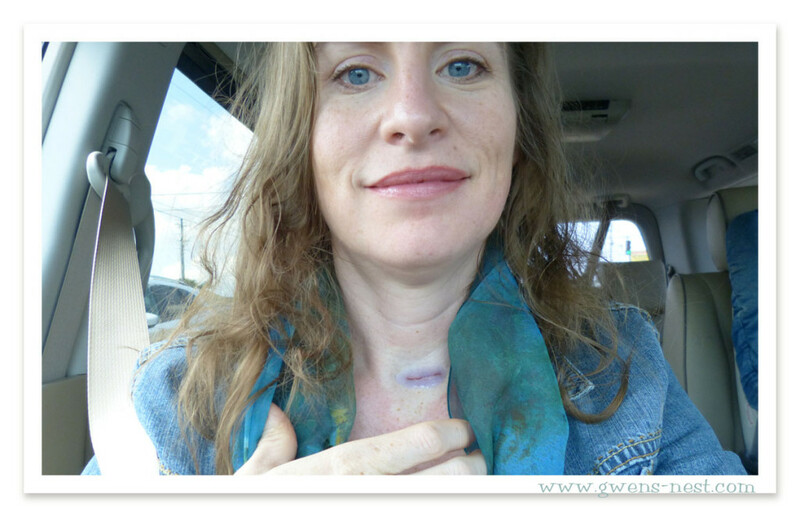 Then had to stay in a hard cervical collar most of 3 months post-op – both times! yuck!!! Thank you for sharing your journey. I know those neck fears well. I was diagnosed with Thyroid Cancer in 2001 and have had 2 surgeries-one to remove my thyroid and one to remove recurrent cancer in my neck lymph nodes. The first surgery the “experienced doctor” nicked one of my vocal cords… I praise the Lord I have been “clear” for 7 years as they are just “watching” a few nodes that don’t look “right”! Praying that my “second smile” (size of my scar on my neck) doesn’t get any bigger-EVER! Did they just remove the tumor? It’s amazing that they can perform surgery on the parathyroid without removing the thyrioid. Fantastic news Gwen, so happy that it all went well and you are already starting to see an improvement in your symptoms. praying for an easy recovery and praising God for the good report! Just wanted to stop by and say hi. I started THM 5 weeks (and 14 lbs ago). I had parathyroid surgery 4 years ago. It’s amazing what a change getting that little stinker of a tumor removed can do for a person! Hi! My name is Leigh and I have recently been diagnosed with hyperparathyroidism. I also live in the Atlantaarea and I’m searching for a surgeon to use. I’m looking into possibly using Dr. Parikh ,but am also considering using Dr. Kennedy with Dekalb Surgical Associates. I was wondering if you also looked into using Dr. Kennedy and if so, why did you choose Dr. Parikh instead? I like that Dr. Kennedy checks all 4 glands like Dr. Norman in Tampa, but Dr. Parikh seems to have more positive reviews. Any insight you can give about how you made your decision would be so helpful! I’m so glad your surgery went well and that you are doing so well! Thank you! Thank you Gwen for your uplifting experience; and LC, thank you for sharing your findings on doctors. 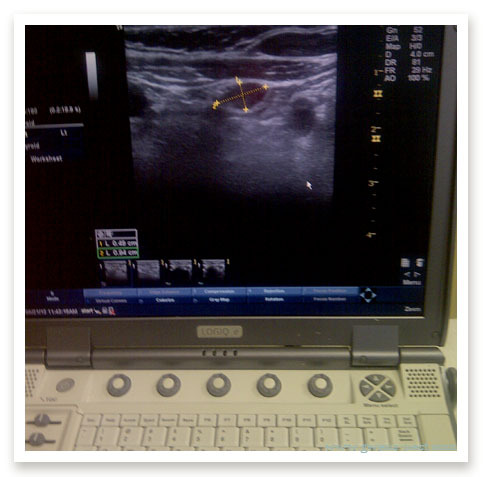 In 2013 I had a successful parathyroid surgery with Dr. Parikh using the ultrasound method. Sadly, my calcium levels have gone back up and I am looking at a second surgery…. so I think I may look into Dr. Kennedy, as I have viewed the website for Dr. Norman as well. At this moment I wish I had known about asking Parikh if he routinely checked all four parathyroids while removing the defective one. Parikh did have great reviews, plus his experience made me feel comfortable with my decision; and today I still think he is a good ENT; he may not have known to go beyond his ultrasound technique. So, I think I will pursue another surgeon so thank you LC for Dr. Kennedy’s name. Thank you, THANK YOU, for sharing your encouraging story– here I am, reading it TWO YEARS LATER! My numbers aren’t as high, and my road not as long as yours, but I’ve just not felt like my old self. Finally, 8 mos later, a very through NP looked through all my labs, and high blood calcium jumped out at her, as well as an elevated PTH (again, not crazy high, but definitely on the high end side of “normal”.) She was convinced already. Meanwhile, I’m struggling with my regular doctor who is most definitely NOT convinced; it’s so frustrating, when I uttered “parathyroid.com” to my doctor, I seriously thought I caught an eye roll. There’s an app they have on the Parathyroid.com site, it’s so helpful in tracking all your labs and tests–totally worth the $3! SO glad you’re connecting the dots! This seems to be an issue that’s just not widely known, but it’s SO fixable, and can be diagnosed by someone who has the right labs and tools. Bless you! see your post about blood calcium. I’m pretty sure you just saved my life. bone since the bone density test 2 months ago the dentist had to augment with artificial bone. I read every post… how thankful I am for shining the light on this disease – I had no idea it existed. Oh my, Kathy! I’m interested to know what they find…please let me know how it goes! Gwen can you tell me if I should avoid taking calcium and/or vitamin D prior to surgery? and I can’t seem to locate it anywhere! Good to rule that out, then. Though disappointing to not yet have a direction to move in. There IS something going on with your health, they just haven’t pin pointed it yet. I had no physical symptoms…the parathyroid glands are so tiny that they can’t be palpated, and they’re located behind the thyroid gland. That’s part of why it’s so difficult to appropriately diagnose parathyroid tumors (and which one is affected). Also, because the parathyroid tumor is your own cells, there is no immune reaction or swelling associated with it as far as I know. Hi Gwen I am so glad to have found your website. I have been dealing with the parathyroid problem for many many years and have been too afraid to have the surgery. I’m 67 years old and my age makes me even more Leary of surgery. I haven’t found anyone in San Diego that does the minimally invasive surgery. I was so hoping that the Boron treatment would help that I felt like crying when it didn’t work for you. But I am so happy for you that the surgery corrected your health. I had a question; I was wondering why you didn’t take Boron supplements instead of the soap powder? Warm Regards, Ann. 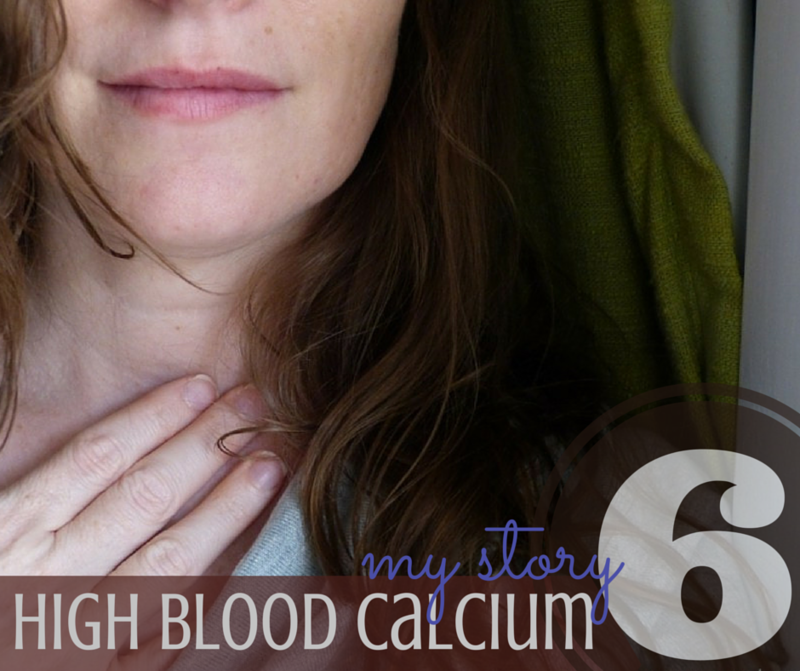 I just read through this entire blog (albeit probably too quickly so I will need to re-read) as I have learned about 8 weeks ago that I have elevated calcium levels (12.8), also abnormal T3 & T4 (2 sets of blood samples in about 6 months are all concurrent). I was placed on levothyroxine and blood labs due again in 2 weeks in which the Dr. will recommend if I need to see a specialist. At least my thyroid ultrasound was normal! Luckily I live in Tampa so if need be I will see Dr. Norman but I don’t want to jump to any quick decisions on surgery if that’s the recommendation. I have been suffering for the last year or so from fatigue, mood swings, moderate to severe muscle soreness (avid workout person all my life), weight gain (constantly watching my weight and dieting)…. and smack dab in the middle of menopause. I have hope that I can get this figured out so I am thankful that you had this blog with some details that I didn’t previously know about. I will be doing more research but am glad that I ran into this website!!! Sending you well wishes, Deanna!